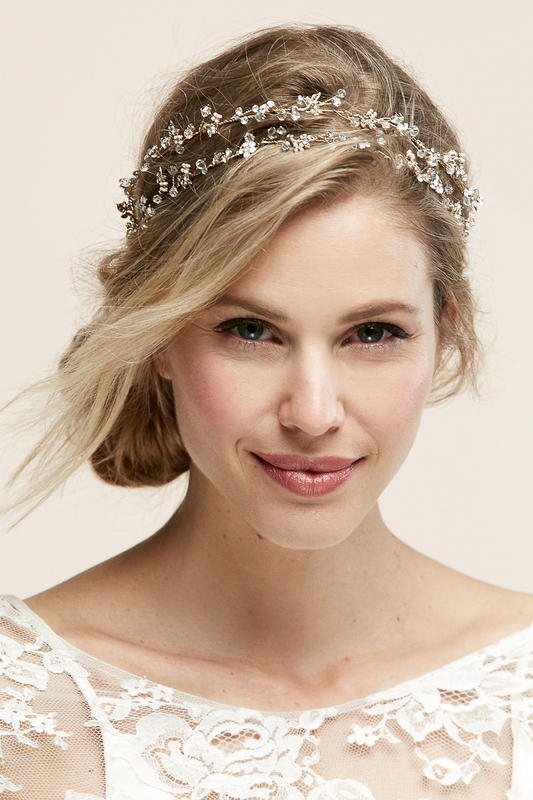 Untamed Petals by Amanda Judge has grown to be one of the top Bridal Accessory companies in the industry. A California girl at heart, Amanda Judge was born and raised on the beautiful West Coast. She believes that every girl deserves something one of a kind in their wardrobe. The Untamed Petals philosophy is that the accessory makes the outfit, which is why each headpiece, belt, corsage, and fascinator is created to make a bold statement and complete any look. Constructed from the highest quality materials--from imported silk chiffon to vintage rhinestone buttons. An Untamed Petals Accessory looks glamorous on any bride, yet chic enough to wear out for drinks on the weekend.